Noah Gale and his aunt, Maddi, are ready to join the MFEE's Amazing Fundracer this year with their team The Greatest Gales! The Greatest Gales are excited for this year’s fundracer. Photo courtesy of The Greatest Gales. Noah Gale is a junior at Montclair High School. He volunteered in the MFEE fundracer last year. This year, he wanted to participate on a team. He created The Greatest Gales! 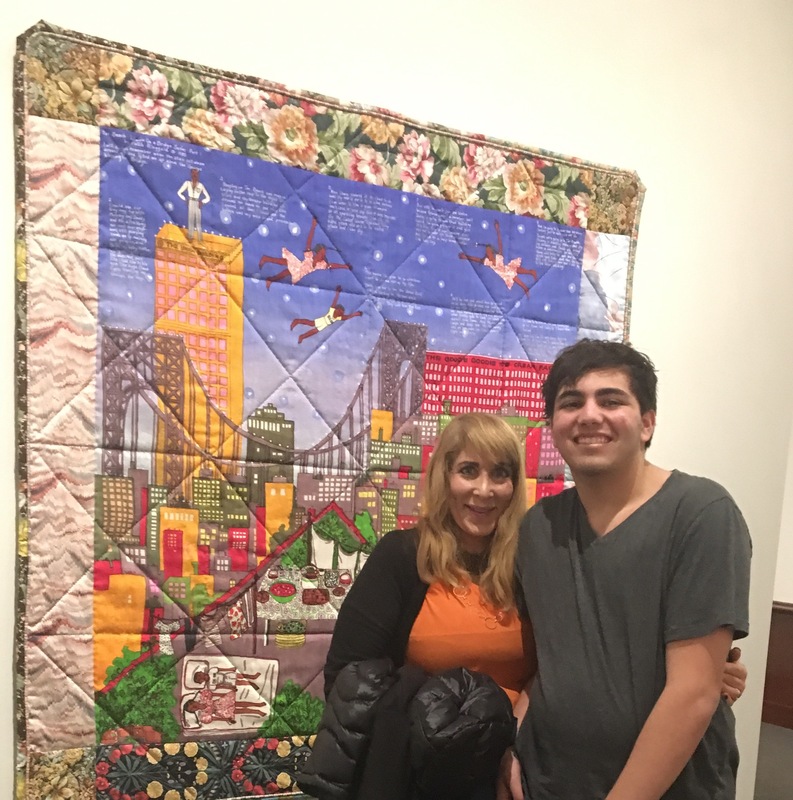 Noah Gale has been familiar with the MFEE since 2005, and he learned about the fundracer last year from the Executive Director Masiel Rodriquez-Vars. He recruited his aunt Maddi, another Montclair resident, to join him in his quest. “Noah wanted to become even more involved than as a volunteer this year,” said Maddi Gale. Both thought it was a fun and exciting opportunity to raise money for an important organization that supports the Montclair public schools. The Greatest Gales are excited for this year’s MFEE event. They love Montclair and actively support the local schools and businesses. Maddi’s wife Reubena has an online custom invitations and scrolls business called Inkcurves.com in Montclair. Both Noah and Maddi are involved in the community. They enjoy their local friends, the Montclair public schools, The Montclair Art Museum, the outdoor Montclair swimming pools and all of the restaurants. The Gales also enjoy many of the events in Montclair such as the Montclair Film Festival and the Tour de Montclair. Their MFEE team The Greatest Gales team will allow them to show their appreciation for the town. “We are expecting to participate in all of the challenges in the race, and we are excited about the after party at Egan’s!” said Gale. The Greatest Gales team is preparing by biking as much as possible. They are swimming and going to the gym at the Montclair YMCA and the Montclair New York Sports Club. “We appreciate everything the MFEE has invested in so far. We hope they will continue to do the same for many years to come!” said Gale.